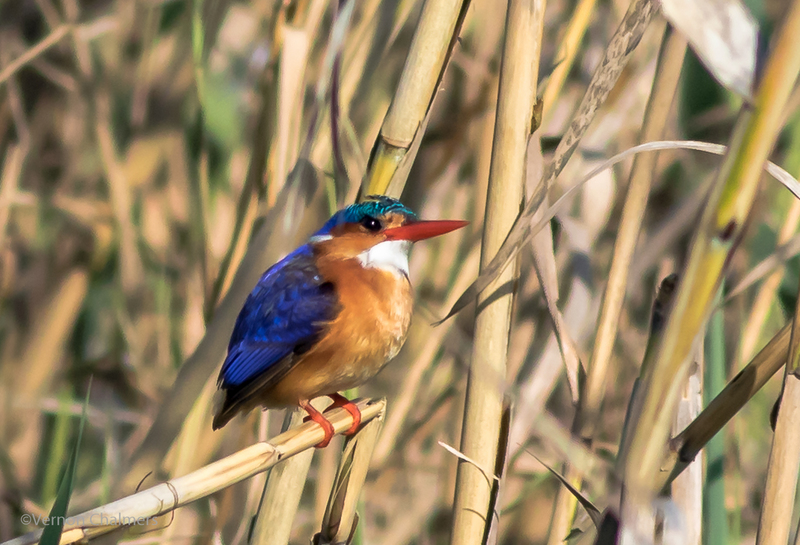 During a quick hike this morning I spotted the elusive Malachite kingfisher in the Table Bay Nature Reserve just off Woodbridge Island (opposite the Milnerton Golf Course). 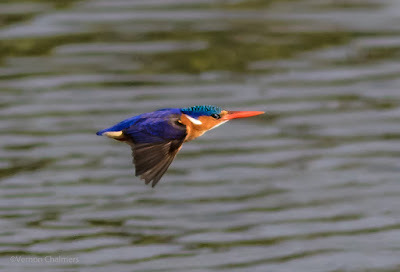 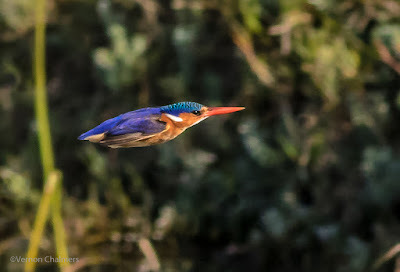 The in-flight images are the first I've ever captured in more than four years pursuing this little colourful bird - in this time I've only spotted the Malachite kingfisher a few times. 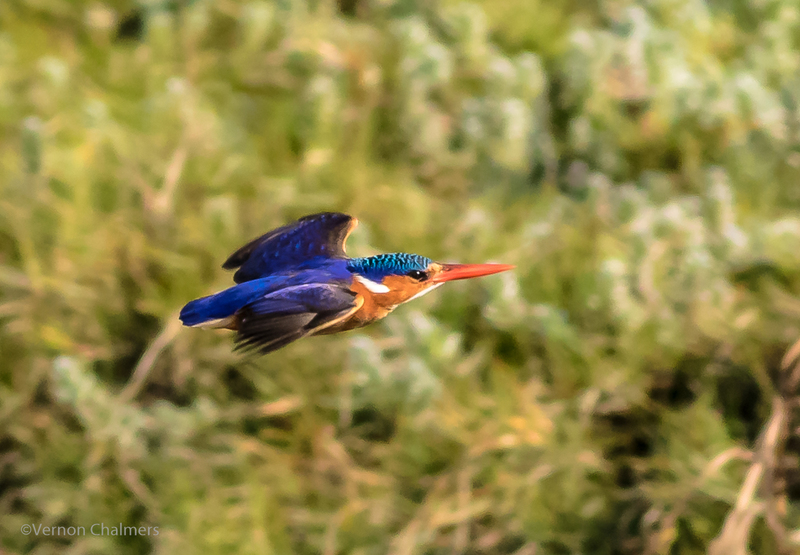 For some reason they are very scarce and not really part of the 'mainstream' bird life around Woodbridge Island. The Malachite kingfishers are more common around Intaka Island, Century City, with many sightings (and captured images by many photographers) and breeding. More common around Woodbridge Island, Cape Town is the Pied kingfisher and to a lesser extend the Giant kingfisher (of which we see a few times a month predominately flying away, towards the old wooden bridge). Image quality of these Malachite kingfisher is unfortunately not that great (far and overcast conditions). 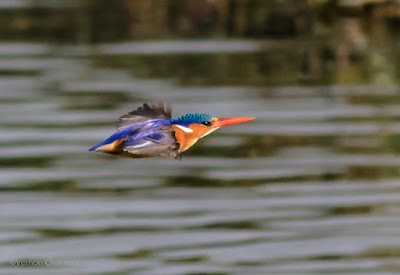 Credit must go to the Canon EOS AF System of the Canon EOS 7D Mark II. 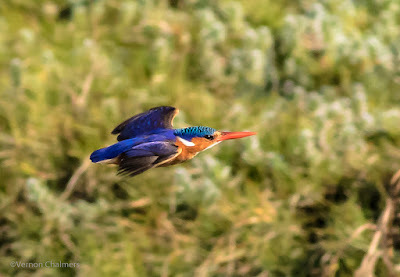 Absolutely no issue tracking the bird in flight, just wished it was closer in better light conditions - the Canon EF 300mm f/2.8L IS II USM lens at f/4 to f/5.6 (with Canon EF 1.4x teleconverter) would probably have given better results. Malachite kingfisher images captured with Canon EOS 7D Mark II / Canon 400mm f/5.6L USM Lens - Manual Mode / Large (Wide) Zone AF / Case 1.